To hear the game is to know the game! CATCH THE THRONE: THE MIXTAPE: VOLUME 2, NOW AVAILABLE LISTEN TO VOLUME 1 BELOW NOW. Catch up on Seasons 1-4 of Game of Thrones on HBOGo and tune in on April 12th for the Season 5 premiere. 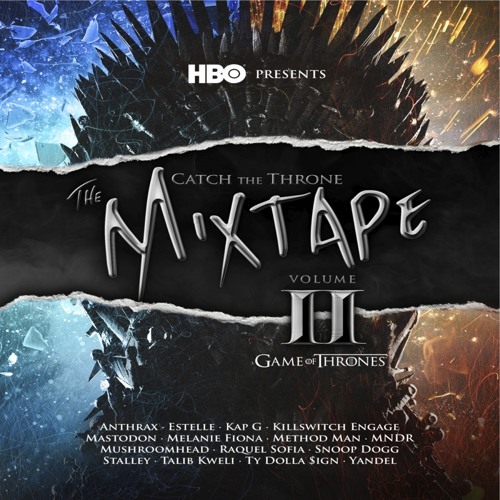 Volume 1: All songs sampled from Game of Thrones Original Soundtrack by Ramin Djawadi. All songs produced, mixed and arranged by Darius Leon, Samuel Gilbert and Miles Felix of Launch Point Records. Executive produced by Samuel Gilbert and Janina Lundy on behalf of HBO.